Found in Florida (Ruskin/Sun City area near Tampa). 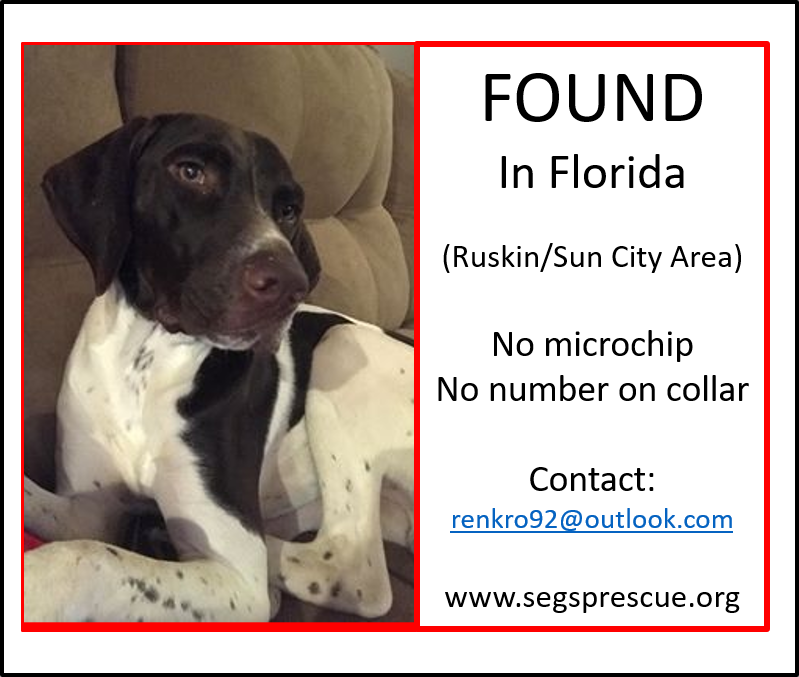 If you recognize this GSP email: renkro92@outlook.com. 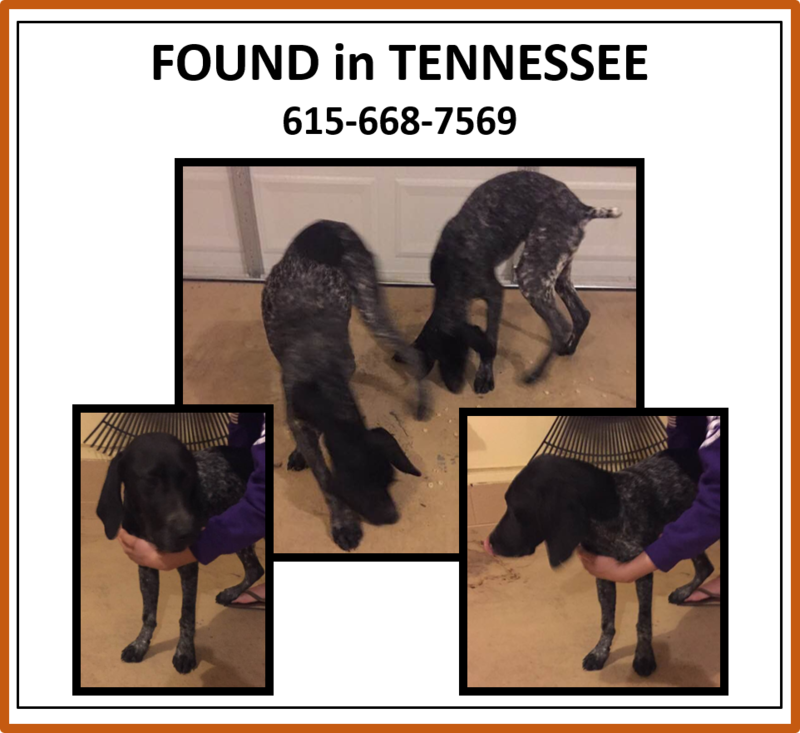 Please no offers to adopt – we are trying to find the owner and he will be brought into rescue if the owner is not found. Beaudette Park wearing a camo bark collar. Found in Lane, SC (north of Charleston). Do you recognize this very sweet girl? This sweet girl was found in a trap (they are calling her Millie). If you recognize her please contact Jeanna at Chester County Animal Care And Enforcement 803-519-7485. 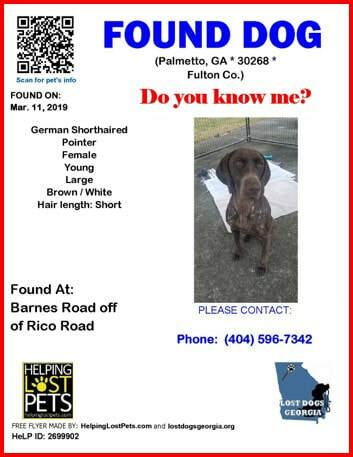 This female was found today on George Coggin Rd/Coggins Corner Dr. Newnan GA.
She will be checked for a chip Monday. In the meantime, you can contact Lovy at the phone number 678-850-5311 with any information. 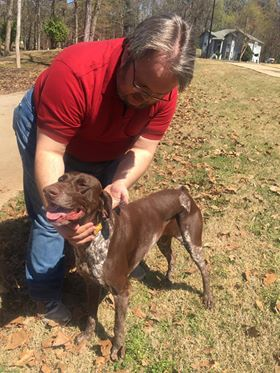 This handsome boy was found yesterday in Nashville, TN. 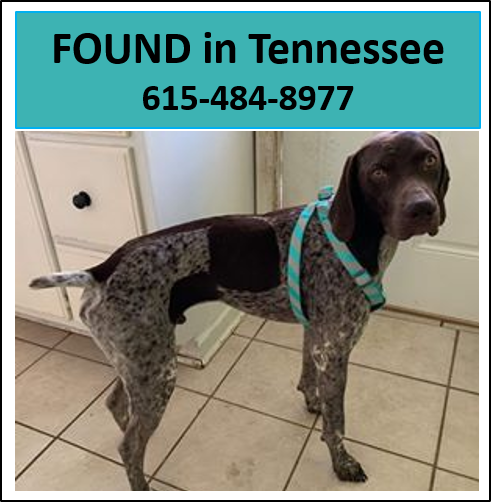 If you recognize him please contact 615-484-8977. Saturn Pkwy I65 south ramp. They are not chipped. If you recognize them please call 615-668-7569. 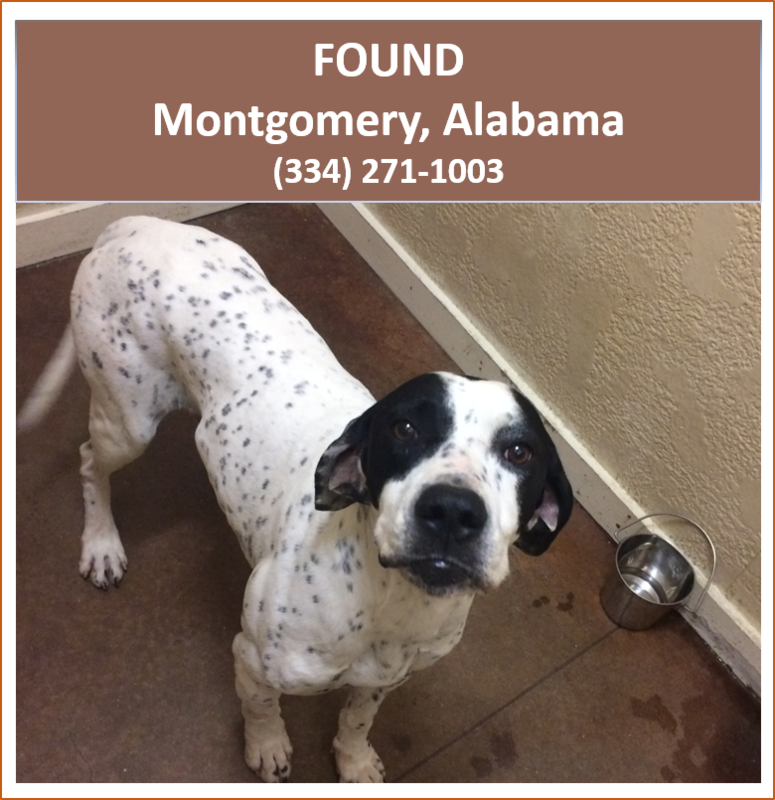 This boy was found in Montgomery, AL and is currently at Montgomery Vet Associates (8401 Vaughn Rd) and will be transferred to the local shelter tomorrow. If you recognize him please call (334) 271-1003. 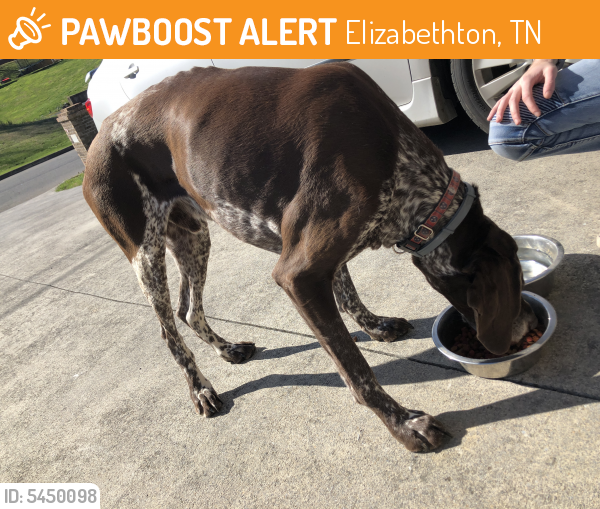 This GSP was found on March 17, 2019 in Elizabethton, TN near Milligan College Dr & Blowers Blvd. ​Looks like he’s been on his own for a long time and may have traveled many miles. 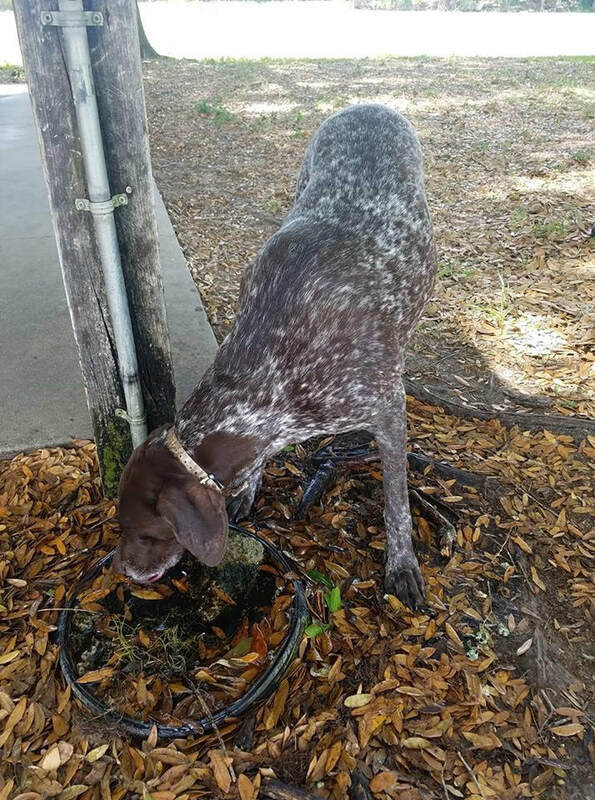 Do you recognize this GSP? If so please contact 404-596-7342.